If you have decided that you would like to have beautiful bespoke fitted wardrobes installed in each of the bedrooms in your home but you are not sure which type of sliding doors will be most suitable for each one, the information in this article should help you to make the right choices. In it, we take a look at the factors you need to consider and how each factor will affect your choices. If, after reading the article and considering each factor carefully, you are still not quite sure which type of sliding wardrobe doors in Perth you should fit in your home, please feel free to call and ask for help. We have built, supplied and installed numerous fitted wardrobes in the city and surrounding area, and would be more than happy to share our experience with you so that you can make the right decisions for yourself and for your home. 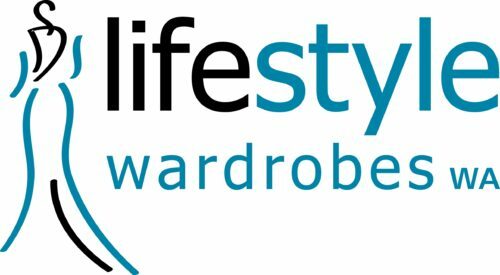 The growing popularity of fitted wardrobes in Perth and across Australia is mainly due to the advantages that they boast compared to conventional, freestanding wardrobes. These advantages fall into three distinct categories – aesthetics, functionality and available space – and when choosing which type of sliding doors to fit to your new wardrobes, you need to consider each of these categories carefully. Failure to take them into account when making your selections could negate one or more of the advantages that fitted wardrobes have to offer. The first factor that you need to consider is the design of the wardrobes you are going to have fitted in each of the bedrooms in your home. If the design of the wardrobes and the sliding doors don’t match, the end result will almost certainly be unpleasing to the eye. The type of door frames that are fitted to your wardrobe will come into play here too: certain colours and finishes will go better with certain types of sliding wardrobe doors than others. Considering the fact that the doors of a fitted wardrobe are normally the largest visible surface, you may even wish to approach the aesthetics factor backwards, i.e. choose which type of sliding doors you would like to use and then have your wardrobes designed around them. The types of sliding wardrobe doors in Perth that are commonly available include coloured safety glass; patterned or frosted glass; mirrored glass; coloured boards; vinyl-wrapped doors, either in faux wood or coloured finishes; and MDF doors, which can usually be supplied as plain or routed doors. If you have your heart set on a particular style of door – mirror doors, for example – then you should focus on fitted wardrobes that will look good with this type of door and that will not present any issues as far as fit or functionality is concerned. Our wardrobe designers will, of course, be more than happy to answer any questions you may have about door and wardrobe design combinations, and will be delighted to help you make the right choices if you would like their assistance in this matter. The space that is available both outside and inside your new wardrobes should be considered when choosing which type of sliding doors to fit as some designs may be more practical than others. For example, some types of sliding doors have handles that protrude quite a distance from the surface of the doors themselves and doors like this, i.e. those with particularly large handles, are not suitable for very small bedrooms where space is at a premium. Doors with large handles are also a bad choice for children’s bedrooms as a young child could easily run into them if they are overexcited or simply not paying attention to where they are going. If you wish to maximise the storage space that your new fitted wardrobes in Perth provide, you will, of course, want to avoid fitting sliding doors that are very thick and take up more room than is really necessary on the inside of each unit. You will also want to avoid making things overcomplicated by fitting more door panels than you need. 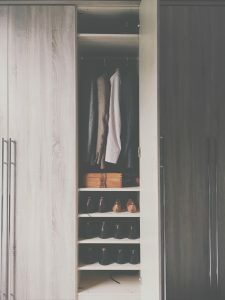 Wardrobe designs that feature 3 or more sliding doors may be appropriate for very large bedrooms but in smaller rooms they can take up valuable storage space: space that you could easily have used to store more clothing and shoes, or anything else that you may wish to keep out of sight in your bedroom. One of the most important factors to consider, and one that is often overlooked in all the excitement, is how well the sliding doors that you choose will function on a day-to-day basis. There is very little point in choosing a wardrobe design and sliding door combination that looks absolutely stunning if it simply isn’t practical for you or your family to use. Most sliding doors are designed to be very easy to open and close – that is one of the biggest attractions of such doors of course – but this is not the case with every type of sliding door currently available so you should exercise due caution when making your choice. Another important factor that may not occur to you when looking at all of the beautiful designs on the market is how easy your sliding doors will be to keep in good working order. This factor will also be determined by the tracks and the door frames you have chosen so you will need to take all three components into account when you are considering maintainability. Very thick doors that are unsuitably heavy for the tracks you are having fitted could cause unnecessary wear and tear, resulting in the need to have your new sliding doors repaired sooner rather than later. If you would like to make absolutely sure that the sliding doors you choose for your new wardrobes in Perth are perfect for your needs and aesthetic preferences, please feel free to call and speak to our design team whenever you have a few minutes to spare.